Product prices and availability are accurate as of 2019-02-03 03:45:38 UTC and are subject to change. Any price and availability information displayed on http://www.amazon.com/ at the time of purchase will apply to the purchase of this product. 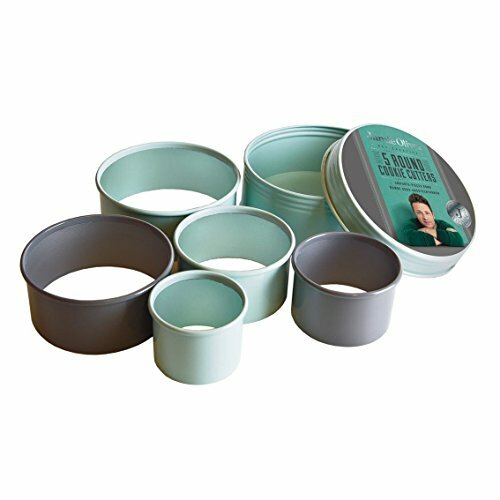 The Jamie Oliver cookie cutter set is a must-have for any well-equipped kitchen. 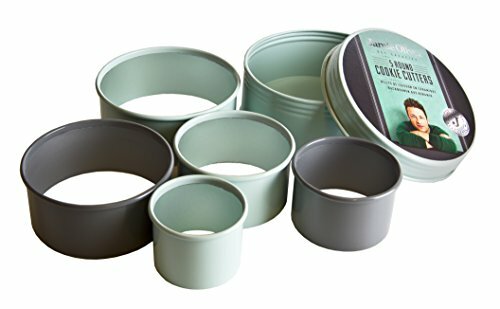 The set includes 5 metal round shaped cutters and comes packaged in a handy storage tin to keep it out of the when it's not being used. They feature a rolled edge, ideal for making jam tarts, canapes, pastries, scones and other delicious treats. The non-stick coating works amazingly well when slicing dough to help reduce sticking and reduce breaks. 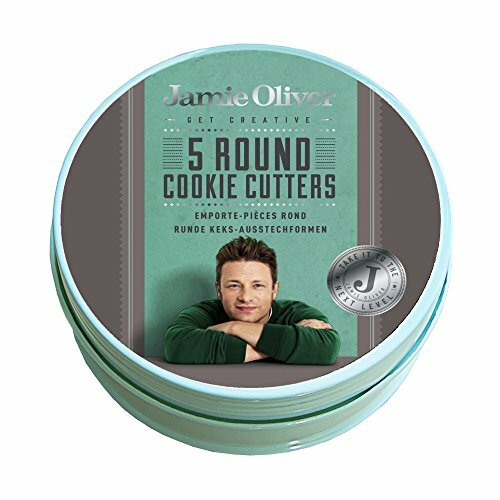 The cookie cutter set comes with the Jamie Oliver 25 year guarantee so you can be sure you'll have quality that will last.